Stools are useful for everyday use in any environment. 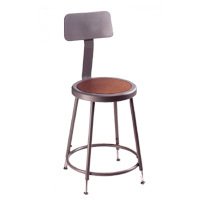 Whether you�re looking for Bar Stools, Coffee Shop Counter Stools, Lab Stools, Stools for Schools, Workbench Stools, or Art Studio Stools, US Markerboard has the match for you! Rolling Stools with Casters, Stools without Casters, and Rotating Stools are a great addition for mobility or hanging around. When you use a Drafting Stool in an Art Studio, you�ll appreciate the Stool�s adjustable height. You can choose Stools for a Kitchen Island or other high top Bar Stools. 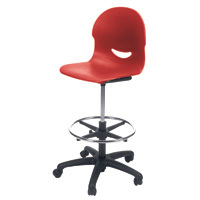 Stools come in all materials, from Wood Stools, Mesh Stools, Fabric Stools, to Padded Vinyl Stools. Use the Stool with backs to sit back and relax or use the Stool without backs to move around quickly. 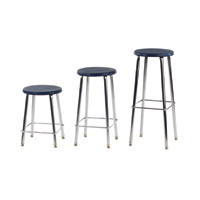 Whichever Stool you choose, let the Stool work for your industry and be specific for your needs!